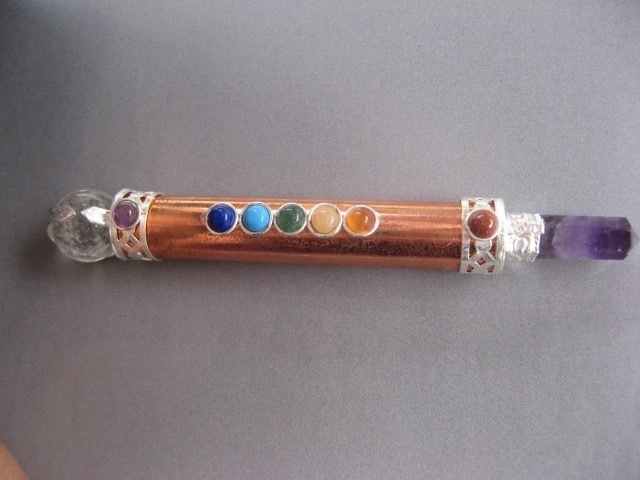 This unique piece is made with copper and one Amethyst crystal and one Quartz crystal and 7 misc. stones. 4 1/2 inches long 1/4 of an inch wide.